How to disable analytics for a user. 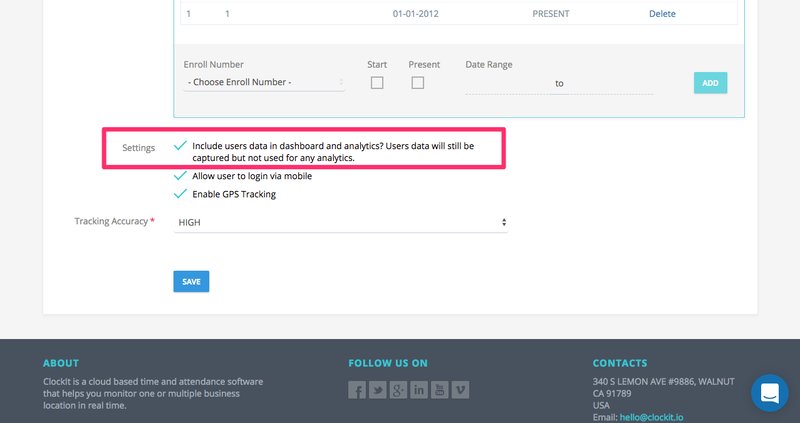 Know more on how not to track analytics for a user. 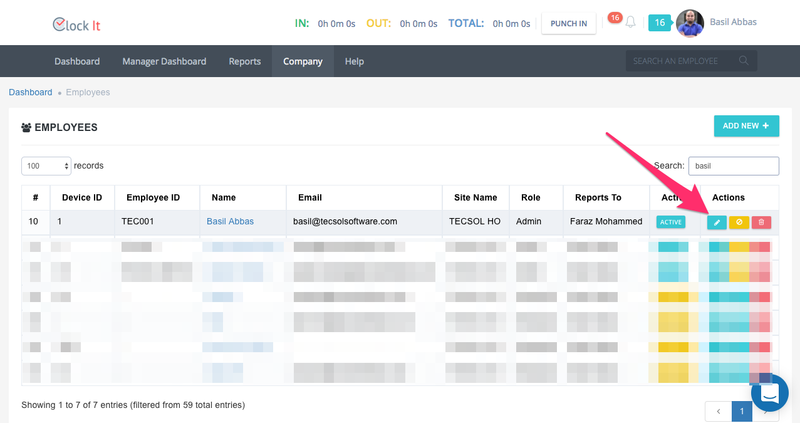 Typically if you are the owner or an external consultant, you might not need to see your own data on the dashboard and the reports. To disable your data from showing on ClockIt use the following option. 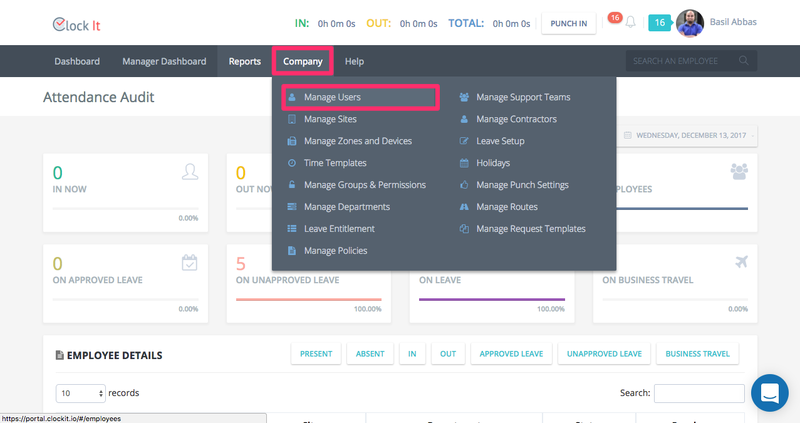 Goto Company > Manage Users. Click on edit against the user. At the very end in the settings you can enable or disable this option.